If rustic living, hard physical labour, frequently miserable weather and the possibility of encounters with wolves, bears and cougars sounds like your idea of a good time, then you may just be cut out for the job of park operator at British Columbia's Cape Scott Provincial Park. Located on the northern tip of Vancouver Island, Cape Scott is a backcountry-lover's dream — a rugged 22,000 hectares of old-growth forest framed by sandy, wind-carved beaches. Every summer, a helicopter delivers a small crew of operators to the park, where they'll remain for the next three months. Daily life consists of providing information to visitors, maintaining the park's trails and boardwalks, and being on call to respond to emergencies. 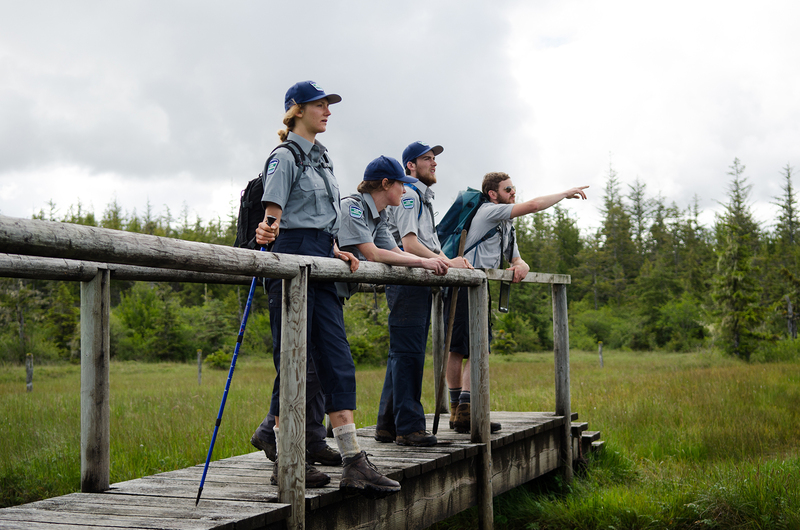 With no cell service or Internet, distractions are few, and conditions can be harsh, but veteran employees of the park say they find a season at Cape Scott rejuvenating. In the May/June issue of Canadian Geographic, which hits newsstands in eastern Canada April 23 and western Canada April 30, photographer Matt Law provides readers with a glimpse at the rigorous training park operators undergo before the season opens. Here's a sneak peek at his photo essay. 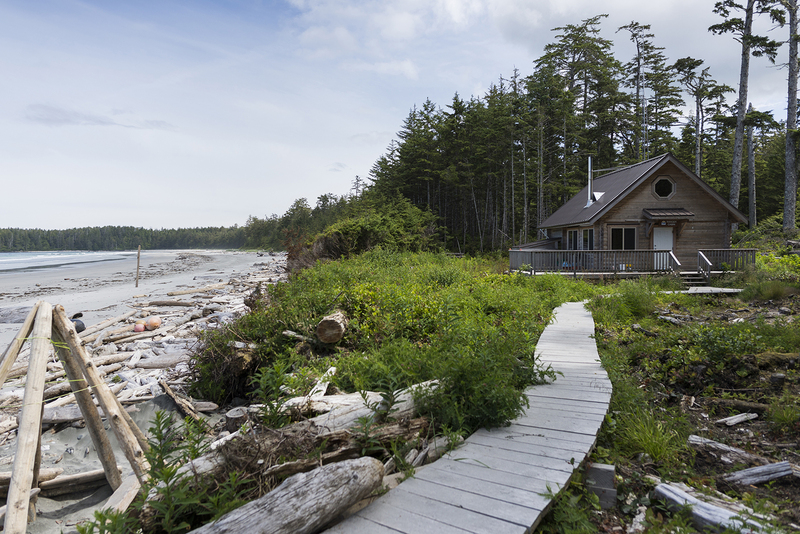 The crew's home for three months is a small ranger cabin on Nels Bight, a 2.4-kilometre stretch of white sand that looks out onto the open Pacific Ocean. 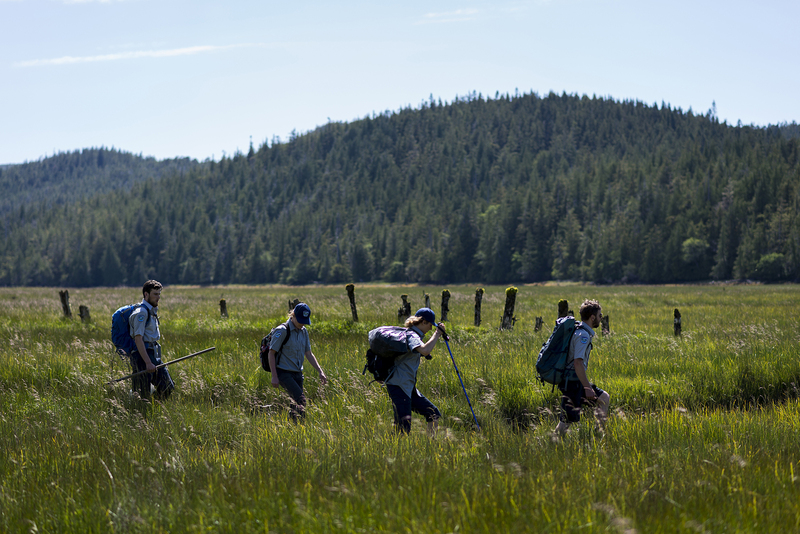 Left to right: Kenzie Wakefield, Tegan Porter and Ross Trebett are shown the landmarks around Hansen Lagoon by Ben McGibbon as part of their week-long introduction to the park. The crew passes through Hansen Lagoon, the site of a Danish settlement that lasted from 1897-1907. The remote location and harsh environment made it impossible for the colony to stay. 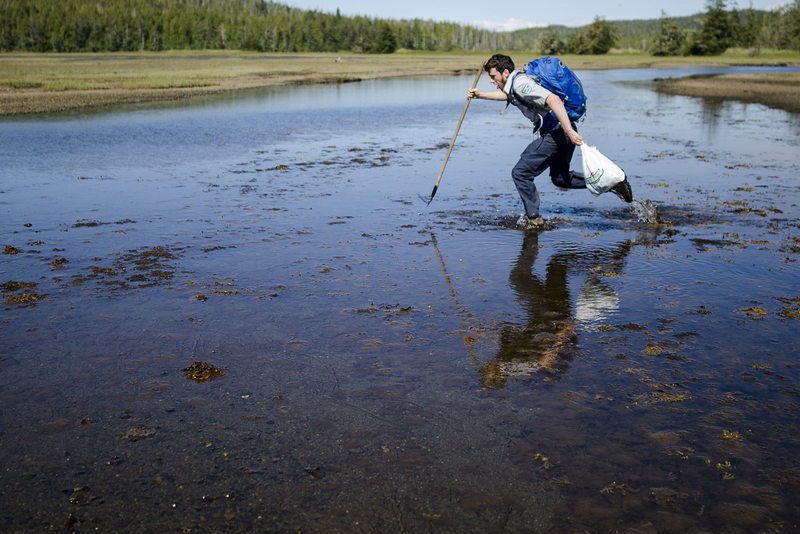 Ross Trebett runs across a tidal flat in Hansen Lagoon while carrying a bag of garbage collected while patrolling the park. 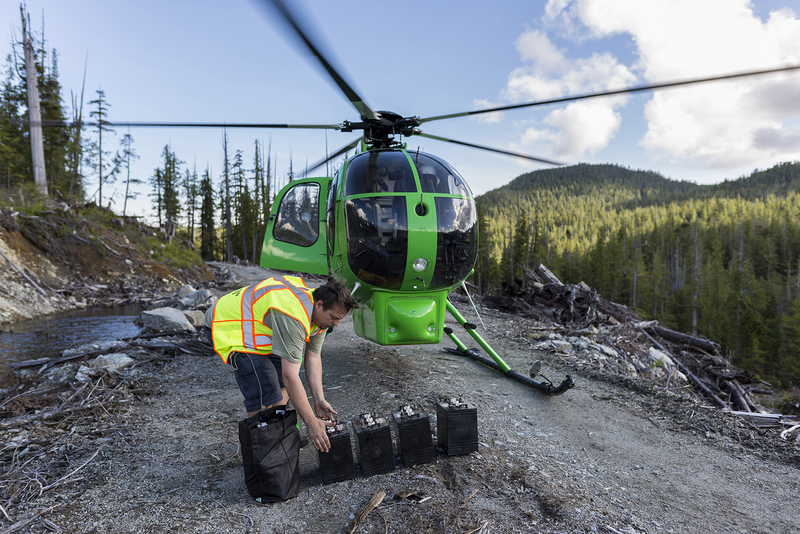 David Wall loads batteries into a four-seater MD 500 helicopter. 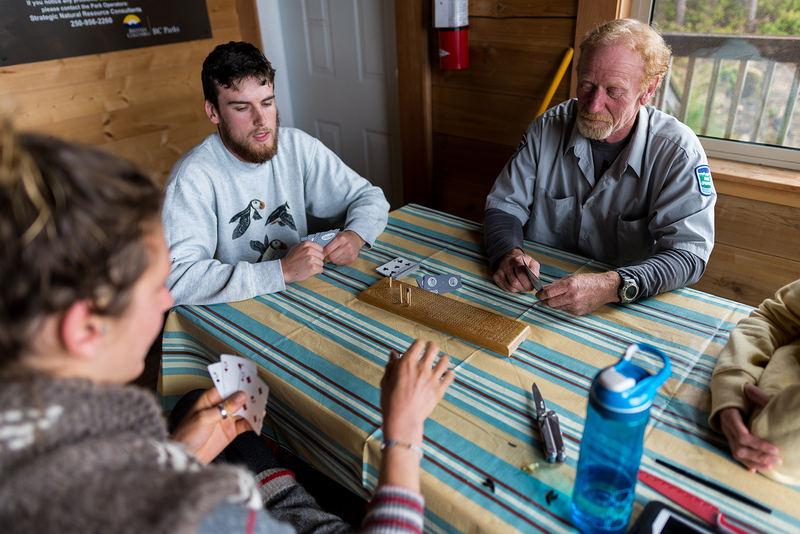 At the end of a long day Kenzie Wakefield, Ross and Dave Trebett play a game of cribbage in the ranger cabin. The crew members have to build bonds quickly; for the next three months they will be living and working in very close quarters. 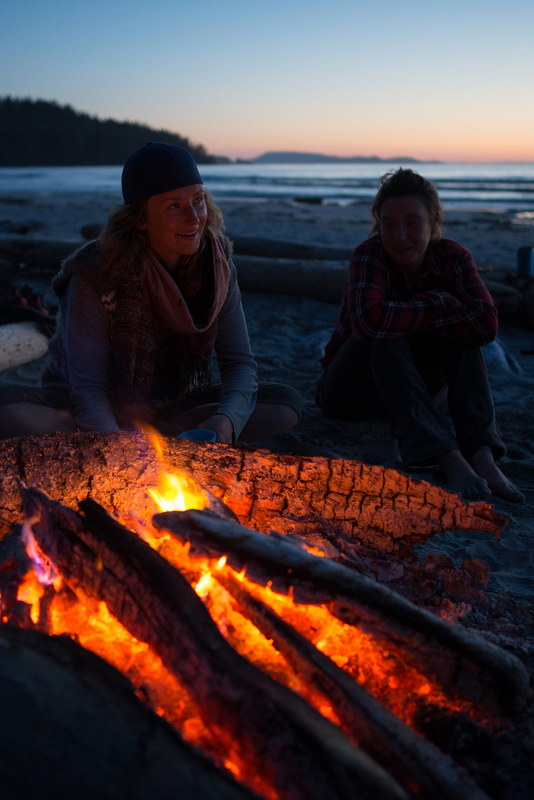 Kenzie Wakefield and Tegan Porter relax around an evening fire on the beach as the crew swaps stories of past outdoor adventures.